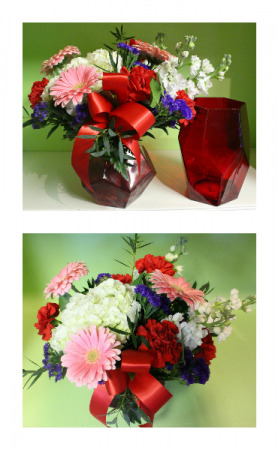 Impress your love this Valentine's Day with this ruby red jewel shaped vase! 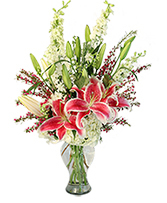 This vase is available in two sizes and filled with hydrangea, gerbera daisy's, fragrant stock and beautiful floral accents. 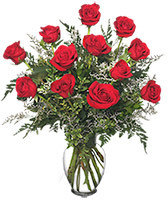 Choose the upgrade for the larger ruby vase and additional flowers.